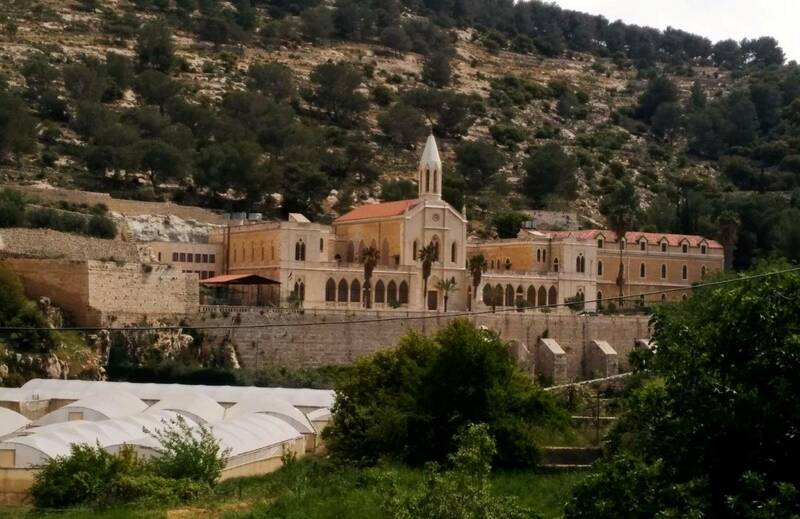 The Masar Ibrahim al Khalil offers travelers the rare opportunity to go beyond the headlines and the stereotypes, to get away from the ordinary Holy Land tours, and to explore for themselves the remarkable landscape, hospitable people and compelling historical sites of Palestine. 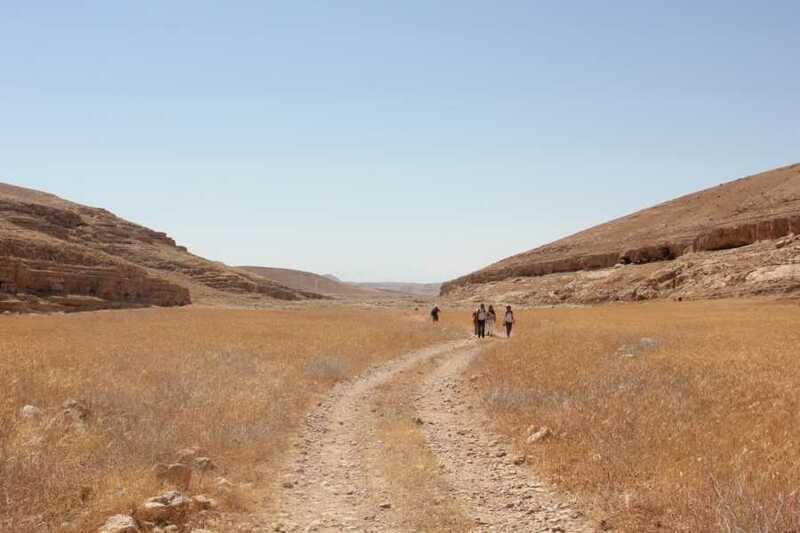 The Masar (‘The Path’) provides a chance for visitors to be welcomed into ordinary Palestinian homes; to share traditional homemade meals and listen to stories of traditions and customs; and to learn about the daily lives, concerns, and hopes of the people. Palestine is an extraordinary land. 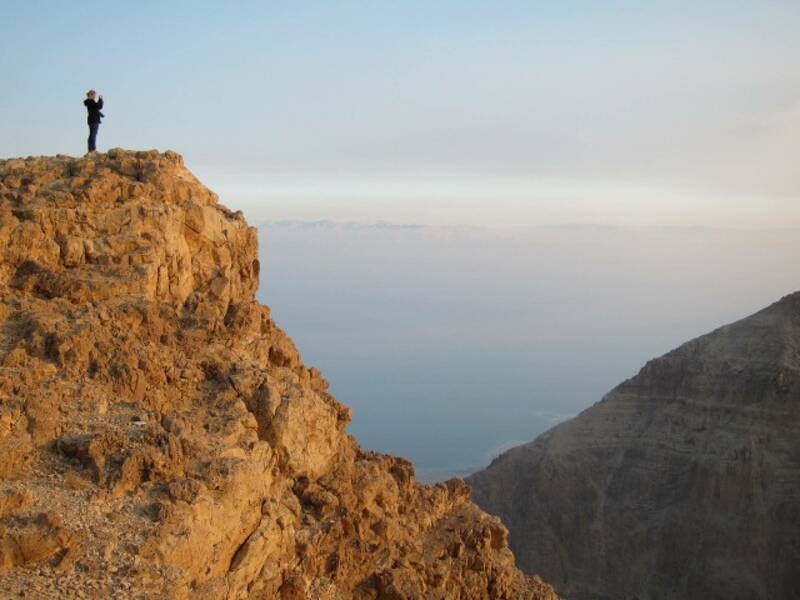 Take the first step to walk the Masar, and you are guaranteed to be rewarded with a life-enhancing experience. 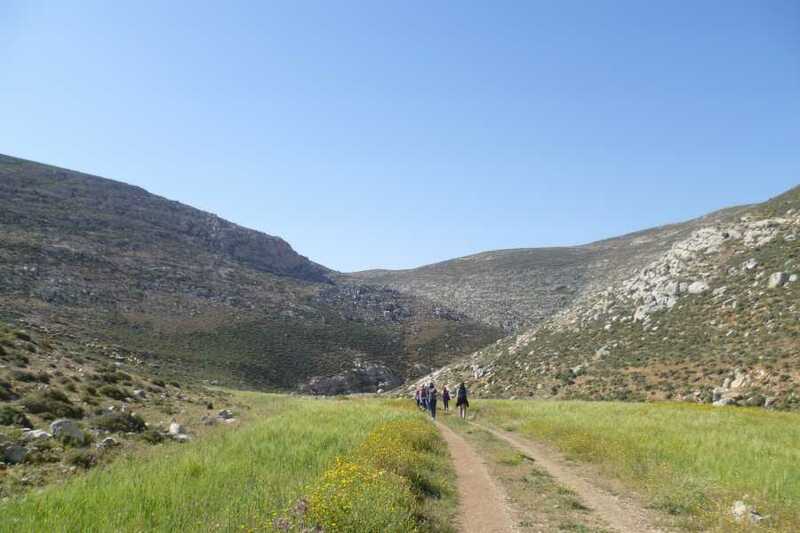 We will begin from Solomon’s Pools and walk down to the village of Artas, where we will have tea with local families and visit the convent built to commemorate the ‘closed garden’ mentioned in the Biblical Song of Songs. 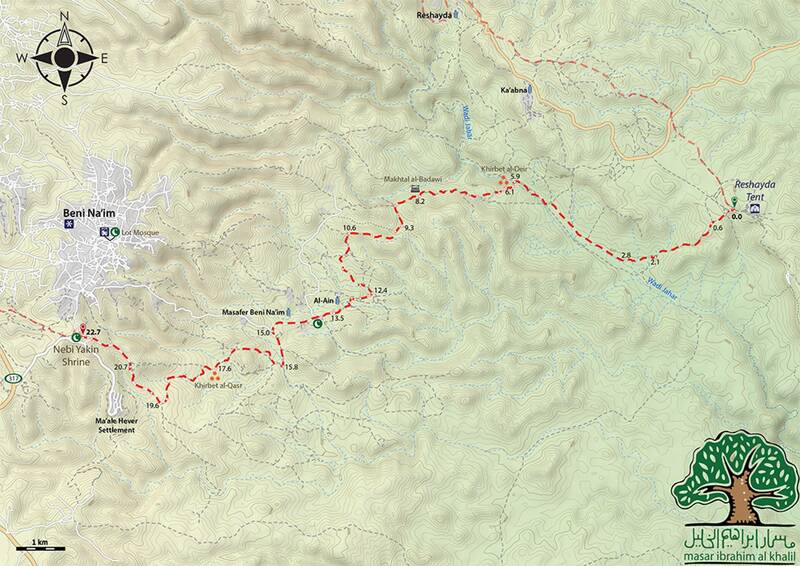 We will continue walking south from Artas to the village of Tuqua – an ancient village believed to be the birthplace of the prophet Amos. The ruins of an early Byzantine church built over the prophet’s tomb can still be seen today. After exploring the archaeological site we are invited by the women of the Tuqua Women’s Society to drink tea and learn about the traditional embroidery and hand woven carpets made by their cooperative. We stay as guests with families in the village. 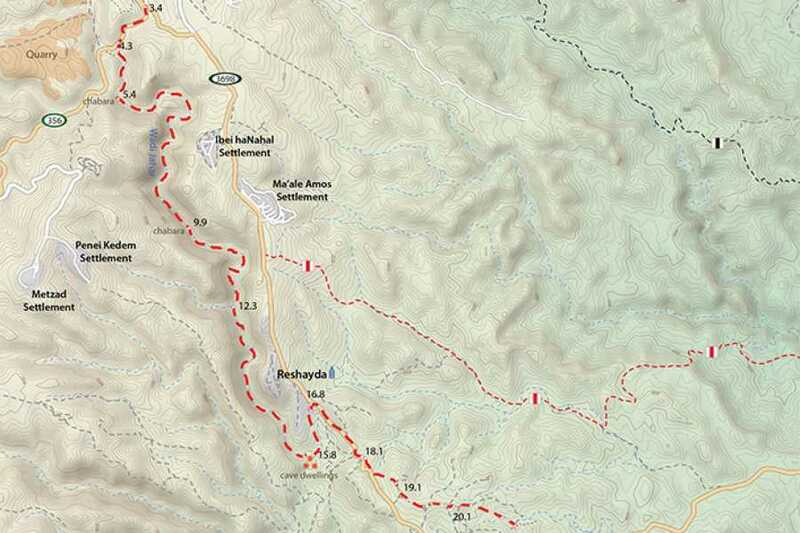 Leaving Tuqua, we will descend on foot into the spectacular Wadi Jihar – a deep limeston canyon that winds down into the desert towards the Dead Sea. There has been a human presence in this wilderness for millennia – flint points found in one of caves above the wadi date from the Middle Paleolithic period, which reaches back almost 300,000 years. 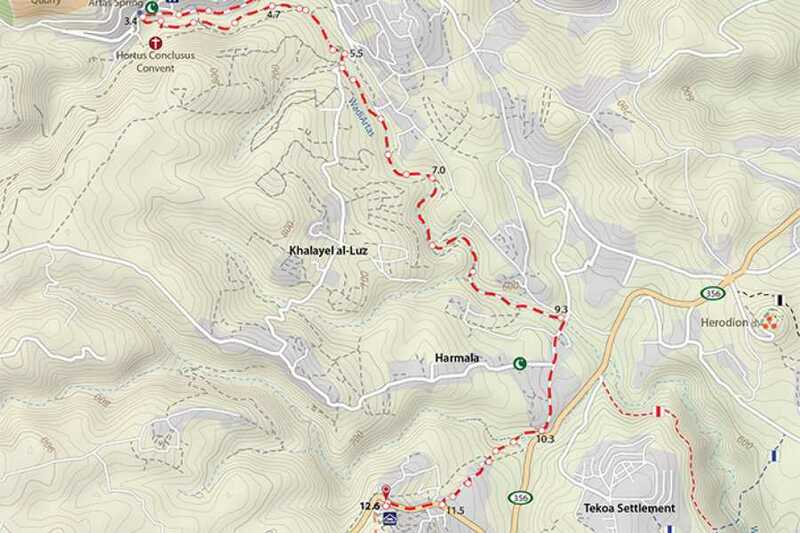 We will emerge from the valley at a town called Rashaydeh, where we spend the night with a Bedouin family. The grandfather of this family, Ali, is a wonderful storyteller who still recalls the old ways of the Bedouins. 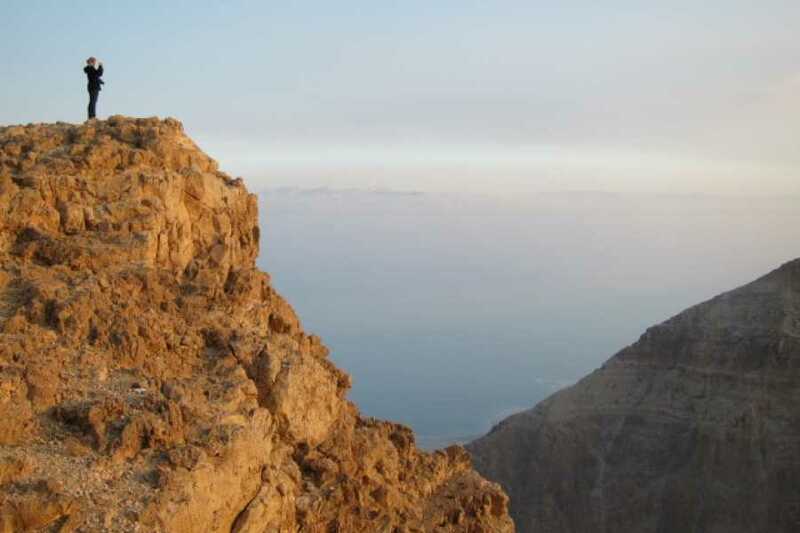 Early risers can watch the sun come up over the desert before leaving camp to walk up towards Bani Naim. 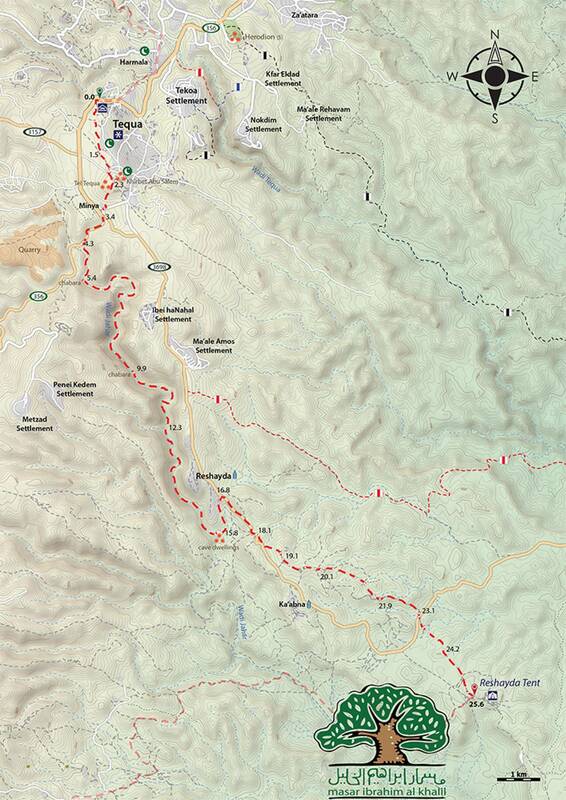 Along the way we will pass the ruins of an early Byzantine monastic community founded at the beginning of the sixth century. More than 120 hermit monks once dwelled here in isolated cells cut from the limestone, including Saint Sabas, the leader of the monastic movement in Palestine. 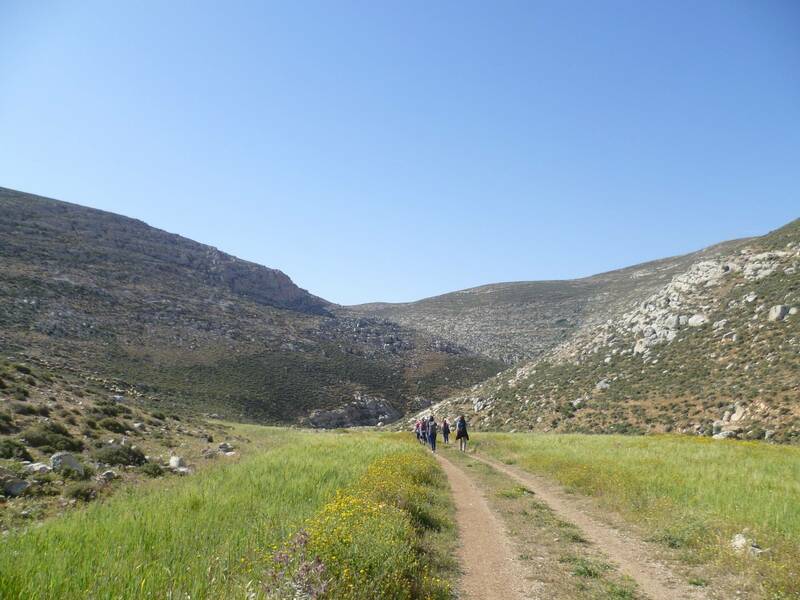 From the monastery the trail climbs steadily out of the desert, towards the cultivated zone around Bani Naim, with spectacular views back across the Rift Valley. 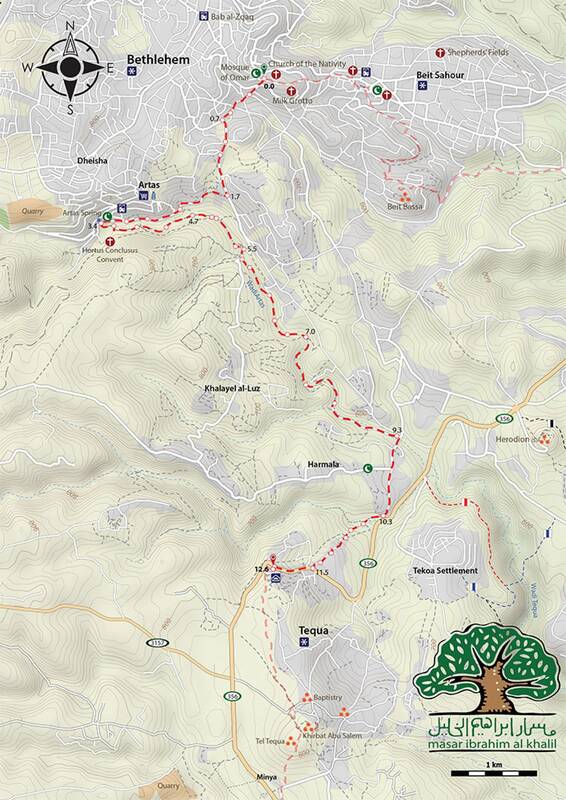 We will reach the farming country around Bani Naim in the evening, and we will be welcomed as guests of a local family. Abrahamic places, unchanged since it was first described by the great Arab traveler Ibn Battuta in around 1325. 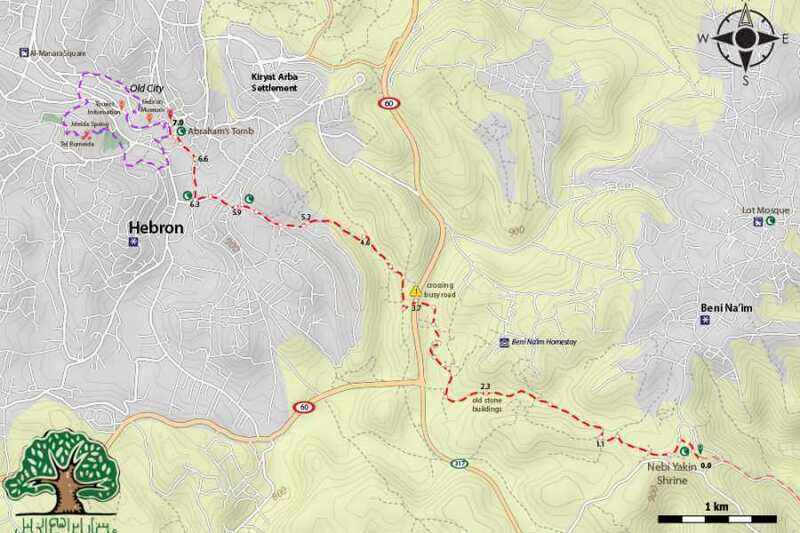 From here we will walk the final few kilometers to Hebron (known in Arabic as Al Khalil), ending our walk at the burial place of Abraham, in the heart of the old town. After visiting Abraham's Mosque (al Haram al Ibrahimi), there may be a chance to meet with the leaders of the Hebron Rehabilitation Committee, who are working to restore the old town as the centre of civic and commercial life in Hebron. 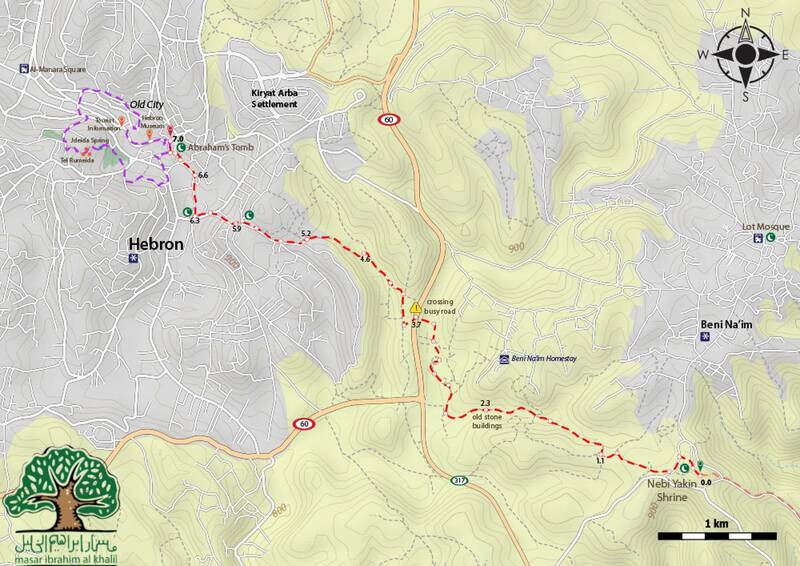 We will transfer by vehicle from Hebron to Bethlehem.